How do I reset my SWRemote Admin password? 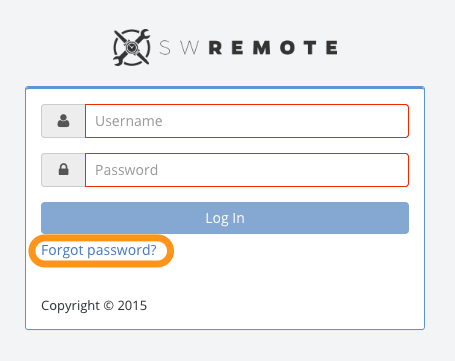 To reset your SWRemote admin password, click here and select the blue Forgot Password? link. You will then be prompted to enter your Username. If you don't know your Username, then click on the Forgot Username? link, which will appear after you click on the Forgot Password? link. This will e-mail you a link which will let you reset your password. If you already know your password but would like to reset/update it, you can also click the "Reset Password" button under the Users tab on manage.swremote.com (You must be logged in). This will e-mail you a link which will let you reset your password.